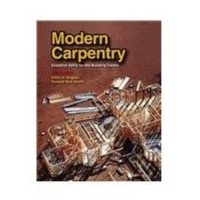 Modern Carpentry , by Willis H. Wagner, has been one of my most valuable carpentry reference books. It covers all of the important elements of building residential structures. I own the one that was printed in 1979. This latest version was updated in 2003. 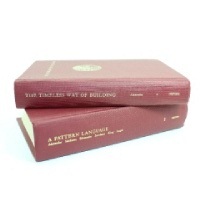 The Timeless Way of Building and A Pattern Language (shown below), by Christopher Alexander, are both excellent books that provide a unique study of architectural design based on the patterns of building used throughtout history around the world. We hope that you will find these books very useful when building your future projects. Remember, when you purchase these how-to books through this website, it helps to support mycarpentry.com. As a carpenter and building designer, I have read many books like the ones that are available on this site. It was the knowledge in those books, combined with many years of my personal experiences, and the experiences of the carpenters that I worked with, that taught me what I know about carpentry. Carpentry is not something that you will learn over night, but as you build more and more projects like the ones provided for free on mycarpentry.com, your knowledge will grow. By reading books on carpentry and construction, like the ones available through the amazon book store, your knowledge will grow even more, and before you know it, you'll have a workshop full of tools, and things around your house that you can proudly say that you built yourself! Have fun!